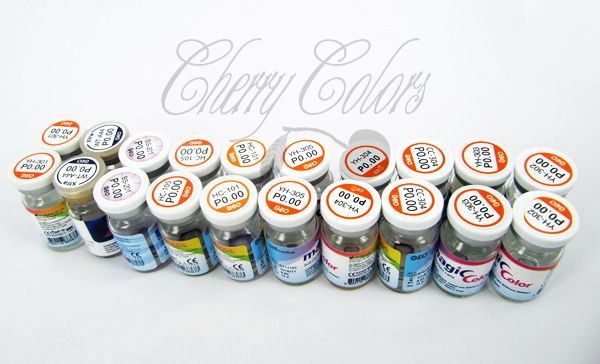 Lenses to review - Cherry Colors - Cosmetics Heaven! I got a lot of lenses for review purposes and I'm super excited to show you at least the group photo :)! Well one pair is missing (which I'm reviewing for another company). I must say I am super excited about the violet and brown lenses (especially the Kira Kira ones and the Bella Violet ones)! That means - stay tuned, because I'll try to review them as soon as I can. I am busy with work and well life, so I am searching for bloggers that would do guest posts on my blog (I am not looking for someone who would review the lenses for me). If you are interested, please do contact me on my email ([email protected]) with the subject: Guest Posting.